Where can you find the best breakfast in Albuquerque? Begin your day’s adventure in New Mexico with the best breakfast in Albuquerque. 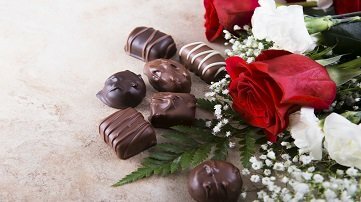 This city in the heart of New Mexico offers all the ingredients for the perfect getaway: unique attractions, spectacular landscape, and fantastic dining, You’ll want to start your day in this amazing destination with a hearty and memorable breakfast to get you going, so take a look at our top choices and make plans for your vacation! With mouthwatering meals served in a casual setting, the breakfast at the Bottger Mansion of Old Town can’t be missed! Our registered guests start the day with a serving of fresh fruit topped with house-made sorbet, our custom blend coffee from a local roaster, and a selection of juices. 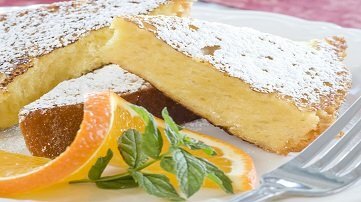 Delicious items like orange French toast, blue cornmeal pancakes, and green chile quiche are served to delight your taste buds and satisfy your appetite. Enjoy watching the birds in the front yard from the sunny dining room, or enjoy your breakfast in the courtyard with flowers and hummingbirds from late spring through early fall. The Frontier Restaurant in Albuquerque is right across Central Avenue from the University of New Mexico and is a wonderful place to get some breakfast. This popular eatery has been in business since 1971, serving everything from great burgers to New Mexican food for breakfast, lunch, and dinner. Breakfast items include a Western omelette, huevos rancheros, and much more. Our favorite is the breakfast burrito with green chile and bacon. Don’t skip the famous Frontier Sweet Roll! The quirky decor, lots of menu options and comfortable atmosphere of the Range Cafe make it one of the best restaurants in Albuquerque. From New Mexican classics to American comfort food, you’ll find the perfect meal for you here. For meat lovers with a big appetite, try the Wagon Train–two fresh eggs, two sausage links, two strips of bacon, white cheddar, pinto beans, Range Fries, and a short stack of pancakes. For lighter fare, the Home on the Range is good–fresh strawberries and chopped walnuts in a bowl of hot oatmeal topped with a scoop of all natural cinnamon ice cream. Check out their menu and make plans to stop by today! Slate Street Cafe is a great place for breakfast during the week and brunch on the weekends. Treat yourself to the Dutch oven pancake with forest berry compote, eggs Benedict or green eggs and ham omelet, accompanied by a fresh mimosa made with pomegranate, grapefruit or orange juice. The menu is quite extensive, from French toast to omelets, frittatas and eggs any way you like. The Grove Cafe and Market specializes in locally grown, seasonal and organic foods and sustainable agriculture. It’s a great choice for those who like to support local farmers while having a wide variety of options. There are lots of things to try, but we’ll always go for the Croque Madame or the bowl of steel cut oats with quinoa, buckwheat cooked in almond milk with banana, dried blueberries, walnuts, coconut, cinnamon, and brown sugar Don’t forget to get your caffeine fix! They have a nice assortment of teas and espresso and coffee drinks to accompany your breakfast. Come stay with us at the Bottger Mansion of Old Town! Albuquerque is a destination full of wonders. Make your stay in this amazing city even more memorable by treating yourself to a stay in some comfortable and convenient accommodations. 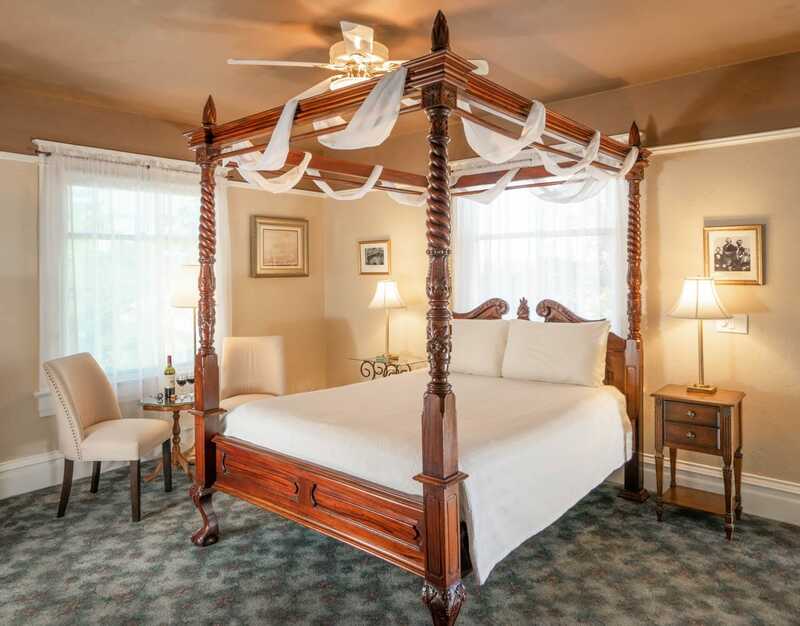 The Bottger Mansion of Old Town is a historic bed and breakfast in Albuquerque offering lovely rooms, outstanding amenities, and friendly hospitality. Explore the many attractions of Albuquerque or simply relax in the peace and quiet of our shady courtyard. Our beautiful oasis in New Mexico is waiting for you, so check our availability and book your stay today! 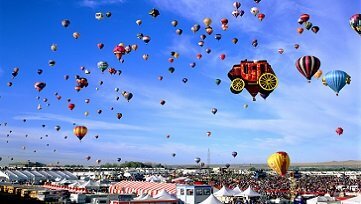 To learn more about the many things to do in Albuquerque, download our free Vacation Guide!